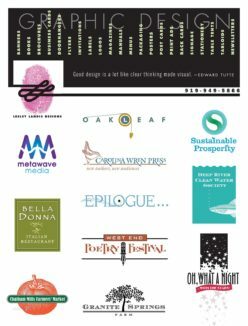 Lesley Landis is an experienced and professionally trained graphic designer delivering designs that communicate her client’s mission, products, and services. 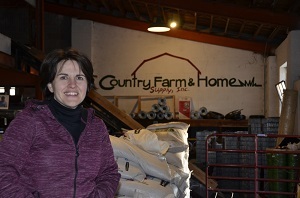 Lesley works within budget and time constraints, estimates costs and schedules, coordinates projects and does follow-up quality control through printing to delivery. Lesley’s relationships with a variety of printers, photographers, illustrators, writers and other supporting services help convert good ideas to professional and appropriate printed matter. 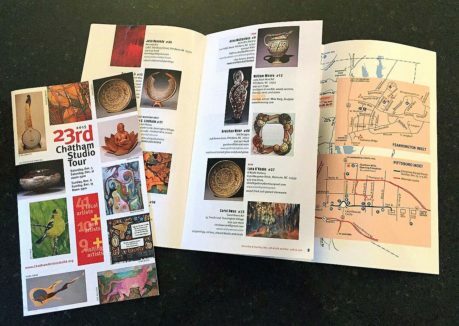 Lesley Landis design the Chatham Artists Guild 2015 Studio Tour brochure. 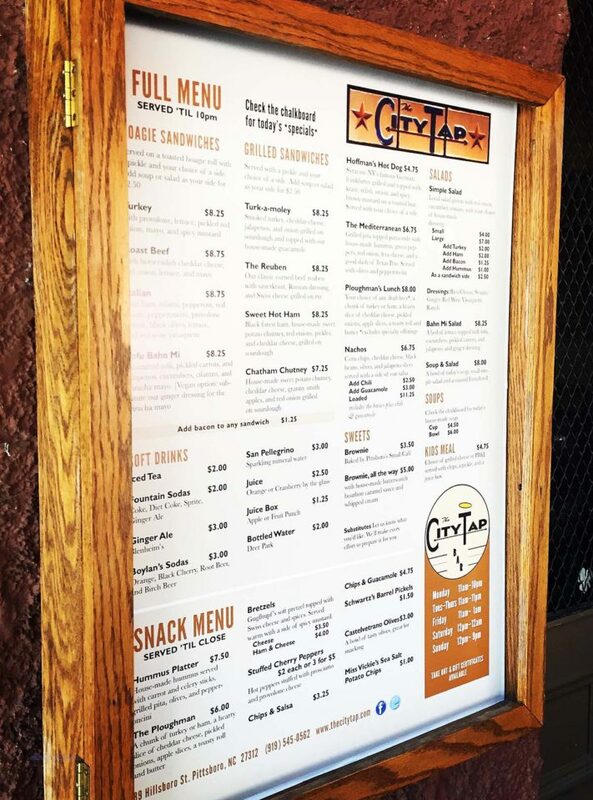 The menu board for the City Tap.